Prezi.com for prices ranging from free to 119 euros/year from Leo Laporte. Autodesk Mudbox 2009 at http://usa.autodesk.com for $745 ($710 on Amazon) from Alex Lindsay. 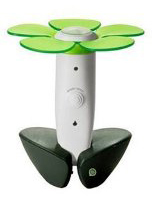 EasyBloom Plant Sensor for $39.95 (on Amazon) from Andy Ihnatko. A Giant Etch-a-Sketch or something? at http://www.fatmanandcircuitgirl.com from Jeri Ellsworth. Hulu Desktop for Mac at http://www.hulu.com/labs/hulu-desktop for free from Scott Bourne. iWoz: Computer Geek to Cult Icon: How I Invented the Personal Computer, Co-Founded Apple, and Had Fun Doing It from Andy Ihnatko. There is a tipo in the title, this are the picks for mbw 143. You made a typo yourself.